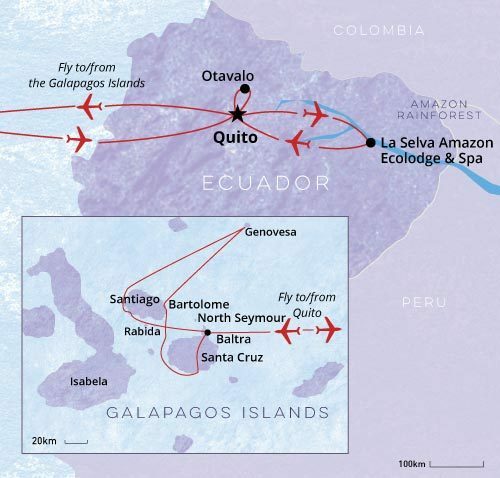 Discover the best of Ecuador, the Galapagos Islands, Quito and the Ecuadorian Amazon as part of your tailor-made South America tour. South America Travel Centre partners with the very best operators in the Galapagos Islands and Ecuador and we will create an itinerary just for you. Below is a sample of what one of our customised tours may look like. Other highlights we suggest you consider whilst in Ecuador include; Cuenca, Banos, Tren Crucero and a stay at one of many fine Hacienda’s, like Hacienda Zuleta. Contact South America Travel Centre to create your very own unique tour. 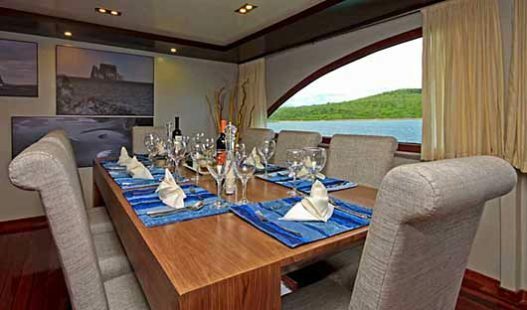 A morning flight from Quito or Guayaquil to Baltra Island (Galapagos) will have you arriving onto your catamaran for lunch and a welcome briefing. In the afternoon go ashore at Puerto Ayora, the main town on Santa Cruz Island, and travel up into the Highlands watching the scenery change as you wind through all seven vegetation zones found in the Galapagos. On this island there are many impressive giant prickly-pear cacti forests and land birds. Visit Rancho Primicias, a private farm where the famous Giant Tortoises that gave the name to these islands can be found in their natural habitat. 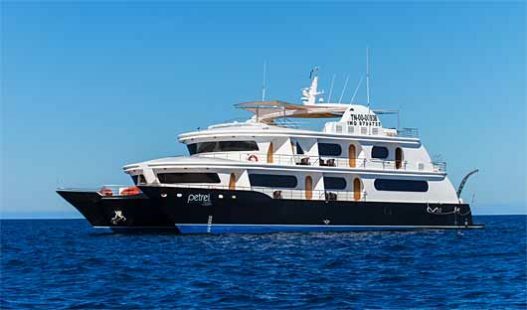 The Petrel, a first class luxury boat in the Galapagos Islands, is elegant, swift and silent at sea, much like the bird it’s named after. The Petrel offers travel in the Galapagos in comfort and style. 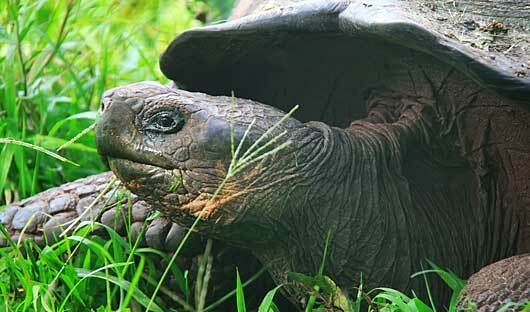 The knowledgeable guides provide insight into the biology and ecology of this fascinating region. On-board facilities include large air-conditioned cabins, each with private bathroom and a private balcony. 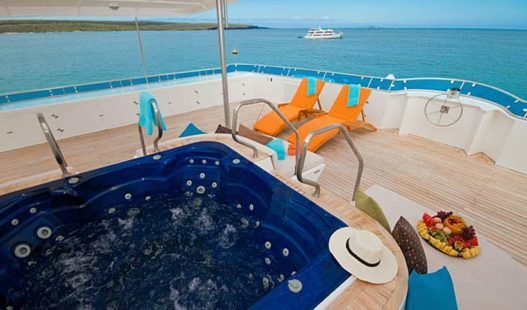 The sun deck, with a Jacuzzi and sun-beds, is a great place to relax and take in the breathtaking scenery in between excursions. After dark it becomes a perfect place to take in the millions of sparkling stars. 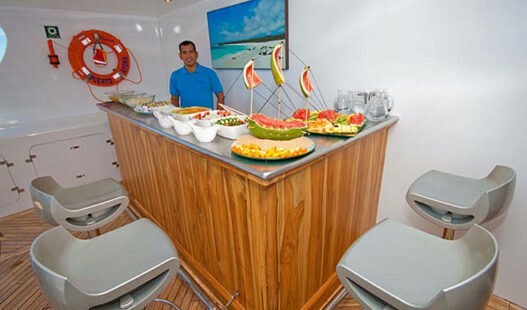 Ocean Spray is a sleek catamaran specifically conceived to cruise the Galapagos Islands in style, providing comfort, superior speed and excellent stability. 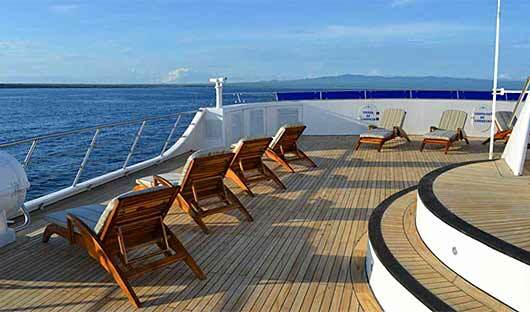 At 34 metres long, it offers the generous space and comfort of larger boats while maintaining the intimacy of smaller vessels. 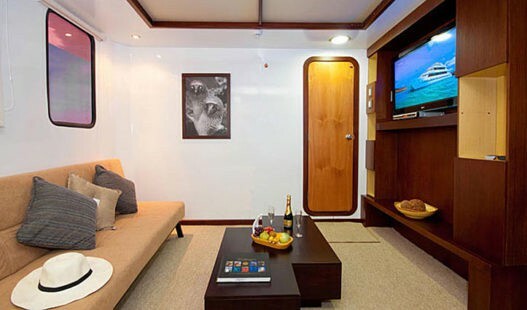 On-board facilities include large air-conditioned cabins, each with private bathroom and a private balcony. The expansive sun deck, with a jacuzzi and sun-loungers, is an ideal spot to relax and soak up the sun between island excursions. And in the evenings there is no better place for stargazing. With a length of 33 metres, Cormorant incorporates the best of catamaran design, ensuring smooth cruising that is perfect for travel between the islands. 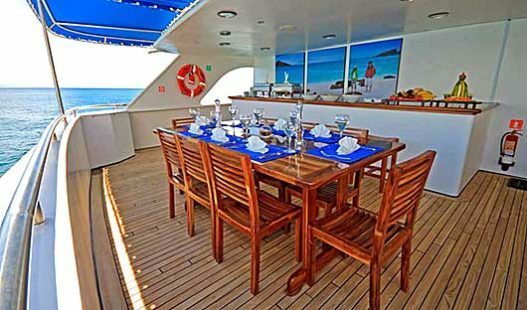 It has spacious interior and exterior social areas where you can relax and enjoy the company of other guests, including both indoor and al fresco dining facilities, a library, bar, a large lounge which easily accommodates the nightly briefings, and a huge sundeck with an enticing jacuzzi. The 6 staterooms and 2 suites feature a contemporary décor and first class amenities, each furnished to a high standard, with a well-appointed bathroom and its own private balcony where you can relax and view the passing scenery. 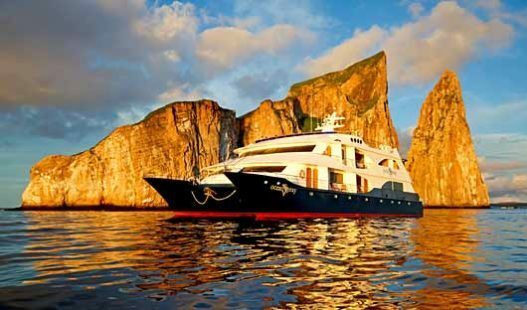 The morning visit includes Bartolomé Island, home to the famous Pinnacle Rock, an eroded tuff cone which dominates the landscape. Bartolomé consists of an extinct volcano with a variety of red, orange, black and even green volcanic formations and you will take a trail of stairs to the summit of the volcano (about 30-40 mins) to enjoy one of the best views of the islands. Also visit a small, beautiful beach that is perfect for snorkelling and where you may even see the Galapagos penguin. 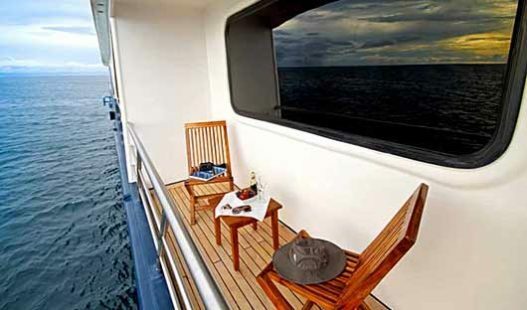 In the afternoon sail across to Sullivan Bay, located in the southeast of Santiago Island and of great geological interest. The area is covered by Pahoehoe lava flows (solidified lava in corrugated or accordion form) and was very active in the last 25 years of the 19th century. Land on a white coral sand beach and take a walk over lava that flowed less than 100 years ago – a visit to this area is preferable in the afternoon because the temperature is more pleasant and the light is better for photographs. Spend the day on Genovesa Island, considered to be one of the most spectacular islands in the Galapagos. 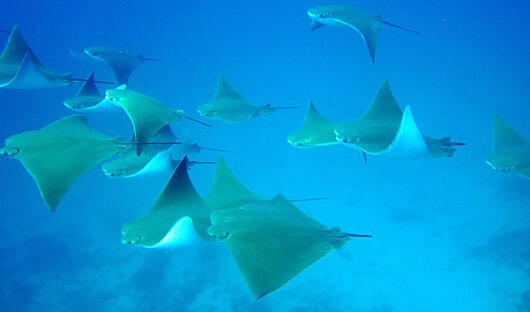 Make a wet landing on Darwin Bay’s coral sand beach, then wind your way past tidal pools where swallow-tailed and lava gulls gather. Enter a forest of opuntia cactus and mangroves where colonies of Great Frigatebirds nest. The males inflate their red-throated pouches to attract females that fly overhead. The trail leads through a rich inter tidal zone where we find a wide diversity of wildlife. After lunch visit Prince Philip’s Steps (El Barranco) where you will find storm petrels and the elusive short-eared owl. You can also see the famous red-footed boobies nesting in Palo-Santo trees. After the walk, sea kayaking is available to paddle along the shoreline where you may see the Red-billed Tropicbird found in the crevices along the cliff. You can can also swim and snorkel from the beach with sea lions in these northern warmer waters. 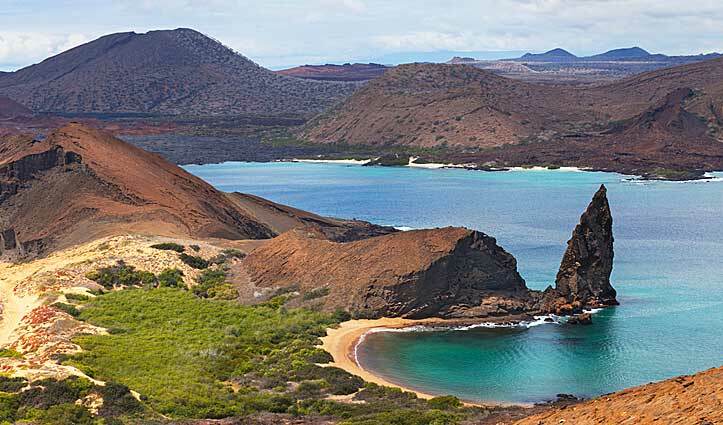 This morning visit Puerto Egas and enjoy a hike along a trail known as being a hang-out for curious Galapagos Hawks and lava lizards. The trail leads down to the coastline where you will have the opportunity to see octopus, starfish and other sea life caught in the tide pools. 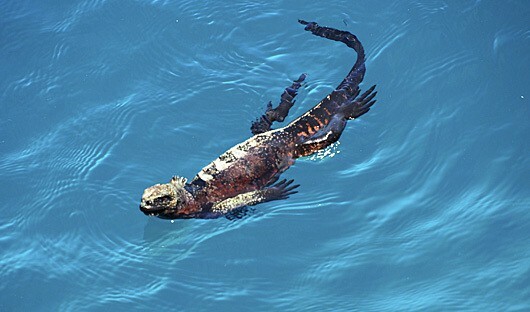 At low tide, marine iguanas feed on exposed green algae. Watch for great blue herons, lava herons, oystercatchers and yellow-crowned night herons. 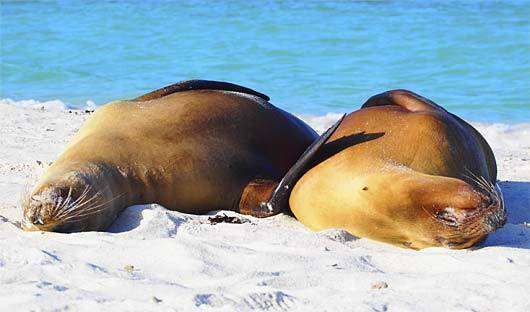 The walk ends at the grottos, deep pools of clear water where you encounter fur sea lions. Later visit Espumilla Beach where the Sally Lightfoot Crabs attract the hunting herons, performing the dance of predator and prey right before your eyes. Snorkelling is highly recommended as you could find yourself face to face with a moray eel, shark, and a variety of tropical fish. Continue to Buccaneer Cove, a testament to the fact that Santiago Island was once a refuge for British buccaneers who would anchor in the protected bay to make repairs and stock up on tortoise meat among other things. It is an excellent opportunity to take in the steep cliffs where hundreds of seabirds perch in front of the dark red sand beach. After breakfast, land at Punta Carrion on the north-eastern tip of Santa Cruz Island and a short navigation from the beautiful Itabaca Channel. 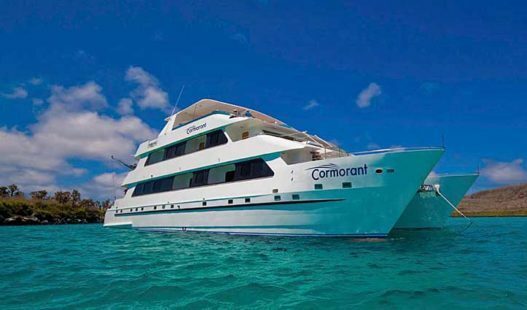 This is a great spot to spend the morning swimming and snorkelling from the boat among rays, hundreds of colourful tropic fish, and possibly the harmless white tip reef sharks. 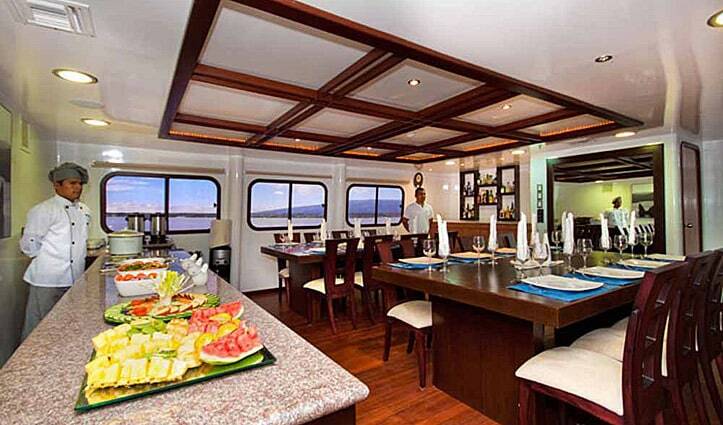 After lunch you will transfer to the airport where you will board your flight to Quito. 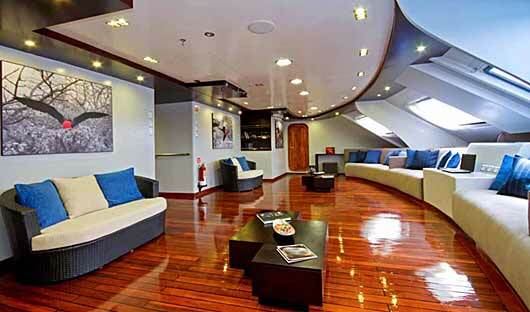 You will be met at the airport and transferred to your hotel in Quito. Spend the remainder of the afternoon at leisure. Get to know old Quito on your private city sightseeing tour. 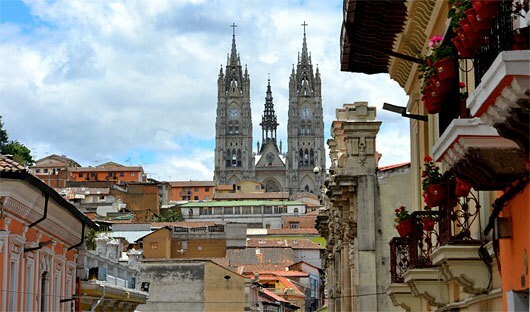 You will be met by your guide and driver at your hotel then taken to Quito’s old colonial quarter. 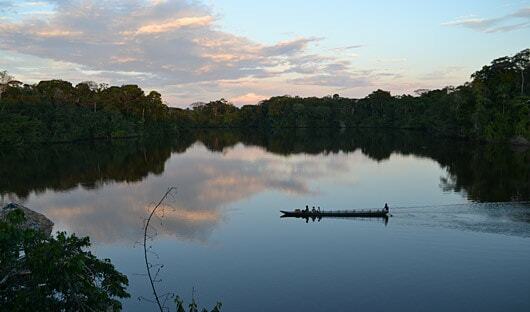 This is a UNESCO World Heritage Site and the largest and best preserved of South America. The walking tour begins at the Independence Plaza, flanked by the Cathedral, the Presidential Palace, the Municipal Building and the Archbishop’s Palace. Visit the temple of La Compañía de Jesús and its awesome gilded interior. Continue on to the Monastery of San Francisco, one the of great religious buildings of the New World; its impressive façade and atrium that lead to its Baroque interior influenced by Moorish style, with the winged Virgin of Quito at its main altar.he final stop of the day is a lookout point for great views over Quito. 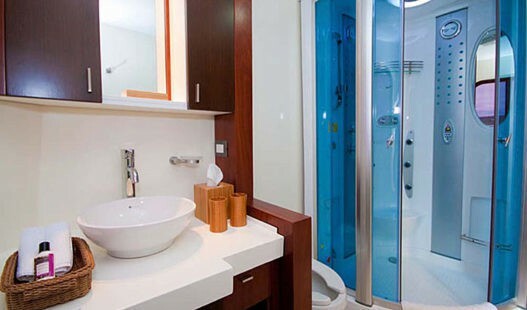 After the tour, return to your hotel and spend the evening at your leisure. Depart your hotel early for a shared excursion to the land of the Otavaleños. Located north of Quito, the town of Otavalo is set amongst terraced farmlands, lakes and snow-covered mountains. Its famous Indian market dates back to pre-Inca times and is best known for its textiles woven on backstrap and shuttle looms. 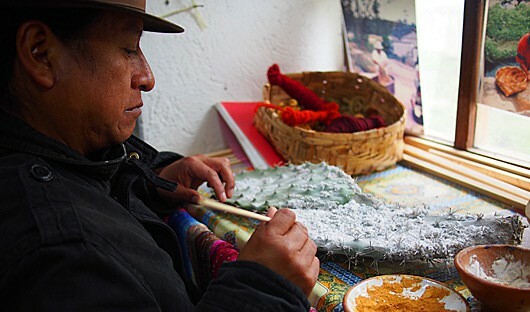 Travel along the Pan-American Highway through beautiful mountain scenery to the textile market of Otavalo. Stroll along the narrow cobblestone streets filled with Otavalo Indians wearing their typical blue ponchos, white trousers and long braided hair. Observe them bartering as you wander amongst the many stalls full of ponchos, scarves, blankets, wall hangings, woven belts (fajas), hats, handbags, classical Indian jewellery and much more. Stop for lunch at one of the charming country inns or haciendas nearby. Then proceed to Peguche, an Indian village where the artisans do weaving in their homes. Here you will have the opportunity to learn about their culture and beliefs. After the tour, return to your hotel. 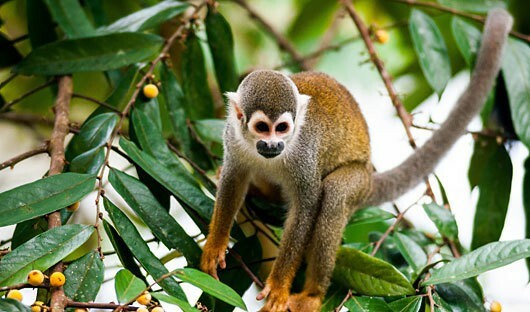 Depart your hotel for a short flight to the Ecuadorian Amazon. 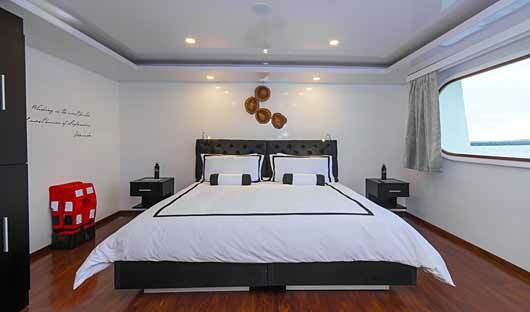 There are a few lodges to choose from depending on your tastes. 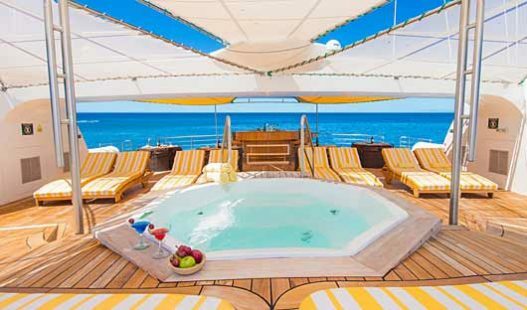 Many of the lodges offer all inclusive programs allowing you to select from a range of suggested excursions with expert guides depending on what you like and are interested in. 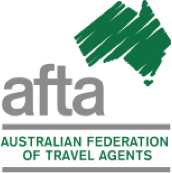 You will find day adventures, night excursions, physical challenges, long walks, jungle adventures, science and eco tours, or anthropological visits. Enjoy local cuisine made by expert cooks and the immersive experience being deep in the forest away from bustling cities. The rooms are comfortable and allow guests to experience the sites and sounds of the Amazon. A comfortable eco-lodge located on the shore of Lake Garzacocha. 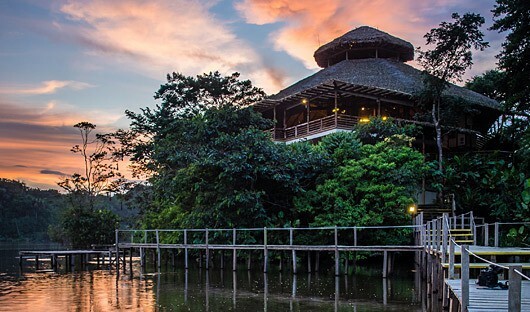 La Selva’s thatched roof bungalows are entirely made of secondary rainforest materials, designed to blend with the rainforest. 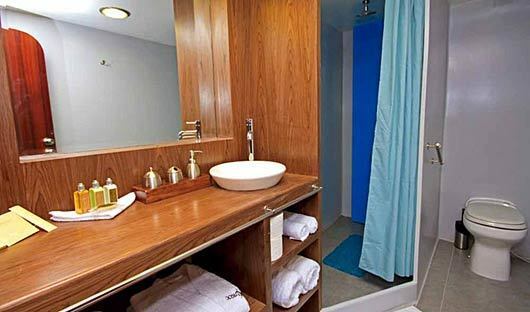 Walkways connect traditional rooms and family suites, as well as the 19 exclusive Eco-suites, to the lakeside bar/lounge. A spacious dining room serves delicious Ecuadorian-fusion cuisine using organic ingredients from the lodge’s own garden. Observation Tower – not far from the lodge you can spend many hours observing birds flying by at eye-level, see wildlife of all kinds, and have a bird’s-eye view of it all from the tower (35m high). Trail hikes – ranging from short and easy to more challenging that may take 4-5 hours. 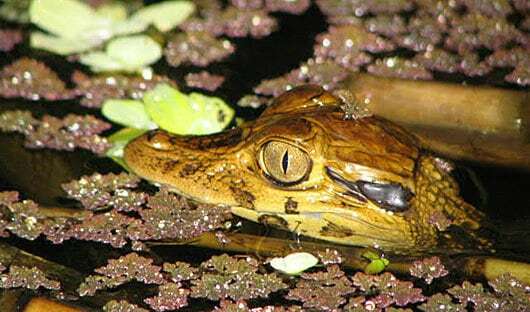 Guided night excursions – hikes and canoe at night give you the opportunity to hear the nocturnal sounds of the jungle and possibly see fishing bats, nightjars, some insects and if you’re lucky a glimpse of the caimans. 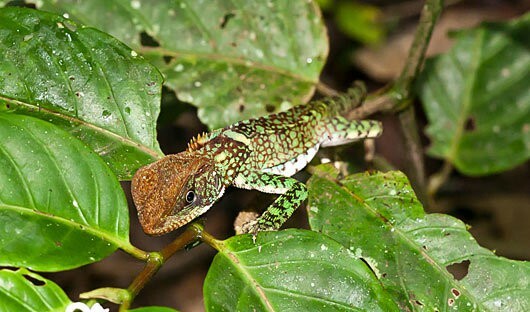 On a walk you may come across: Tarantulas, Whip-scorpions, toads, frogs, and possibly snakes. Butterfly Farm – located close to the lodge, visits to the farm are available every afternoon. Watch and photograph butterflies at close range. With any luck, you will witness the miracle of metamorphosis. Parrot Clay Licks – visit the Yasuni National Park and spend some time at the clay wall in the Napo River where parrots and parakeets gather to eat the clay in order to obtain the minerals that help with digestion of the fruit and seeds they have consumed. 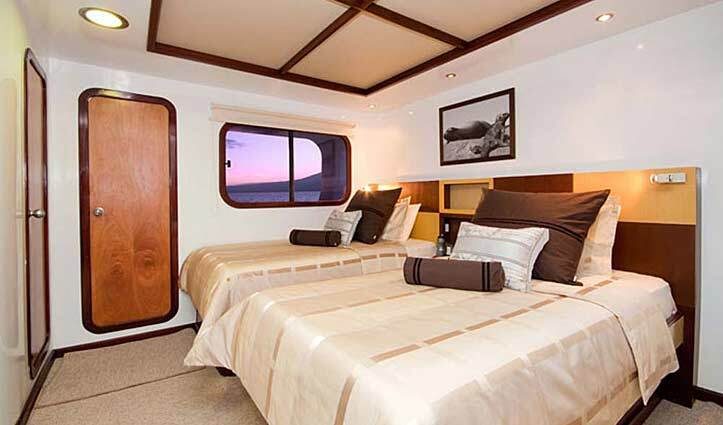 After an early wake-up call and breakfast, transfer by motorised canoe back to Coca and transport to the airstrip to connect with your return flight to Quito. The above sample itinerary is just one example. 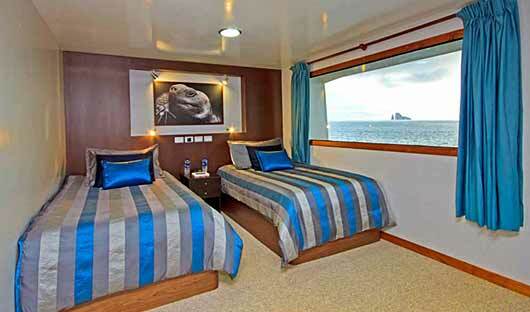 Galapagos Island cruises are offered in a range of durations from 3 to 14 nights. 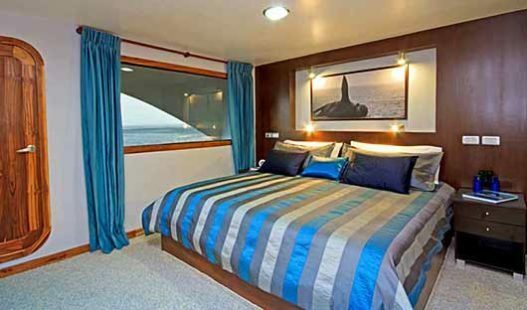 It’s our strong recommendation that any voyage of less than 5 nights leaves too little time to get a good overview of the wildlife and the Islands. 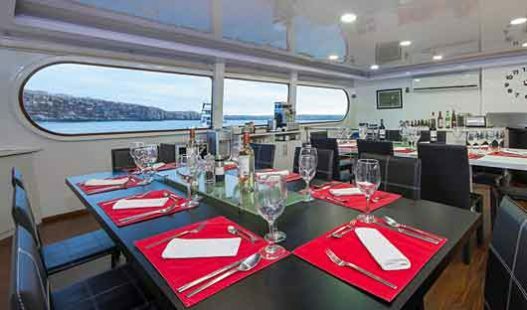 We have first-hand experience of many ships including the Ocean Spray, Cormorant and Petrel – three first class catamarans with a maximum just 16 guests. Similarly with La Selva lodge we have first-hand experience of the the lodge which has recently been upgraded. Please call on 1300 784 794 or email contact@satc.com.au to discuss your individual requirements and we can tailor your Ecuador tour to suit your arrangements.